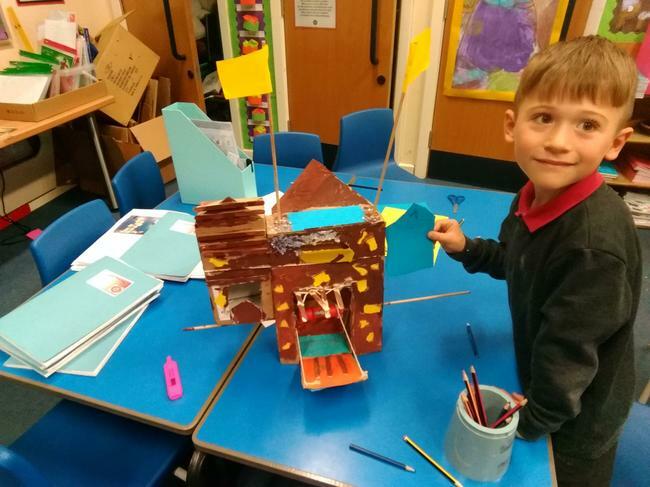 This half term we are learning about 'In a Kingdom Far Away'. 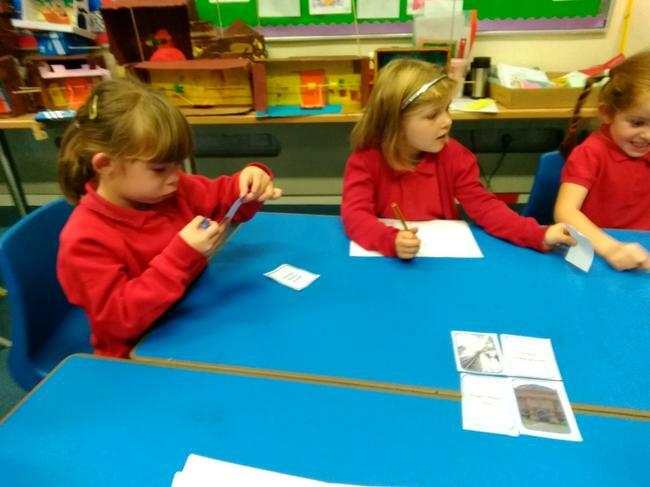 The children will be learning about kings and queens, castles and the royal family. 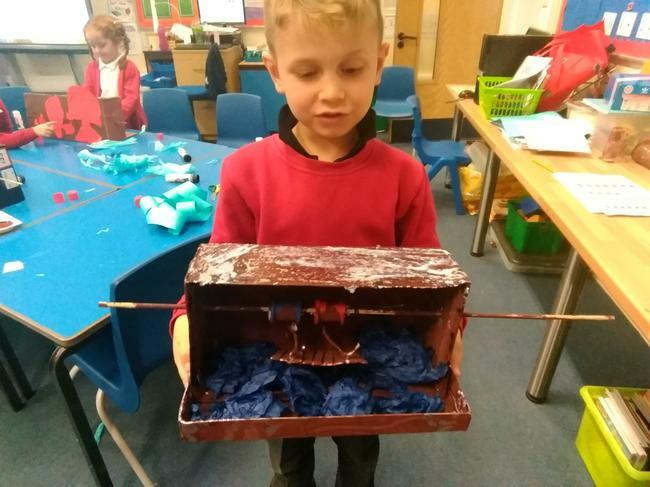 We will be reading lots of stories from Princess and the Wizard' by Julia Donaldson, 'The Queens Hat' and 'Sleeping Beauty'. 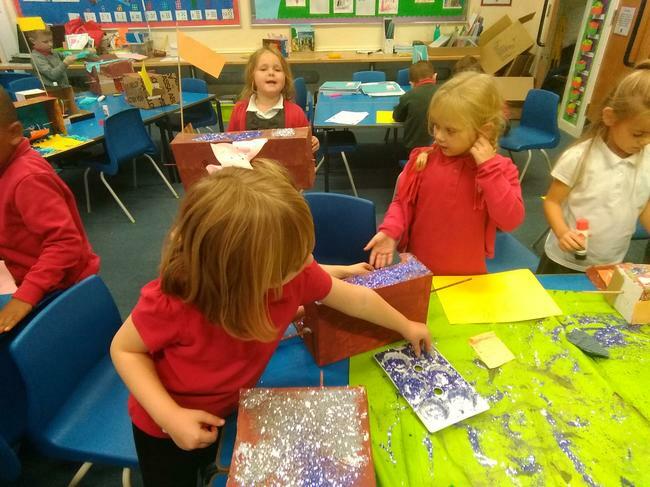 We have already enjoyed a trip to London, built castles with moving parts and met a princess. 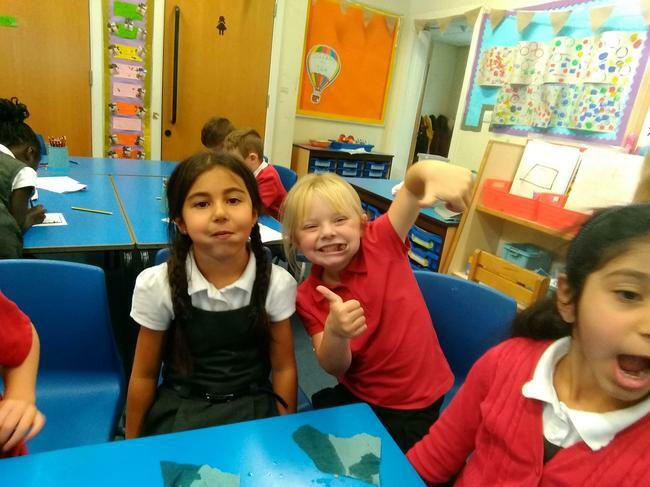 We are really enjoying the learning adventure so far! 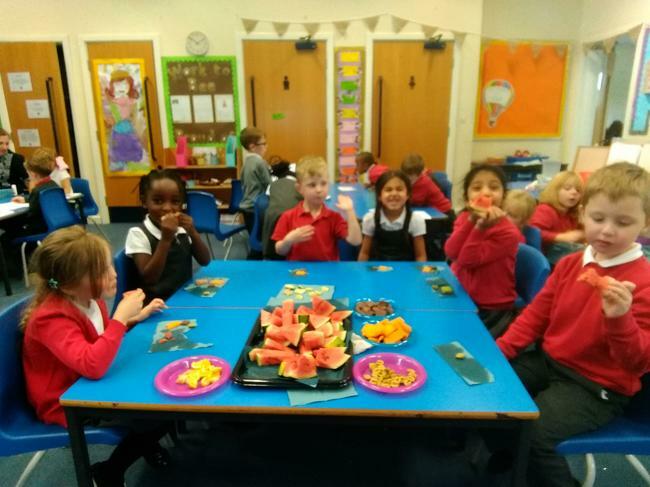 At the end of term we will be having a celebration street party. 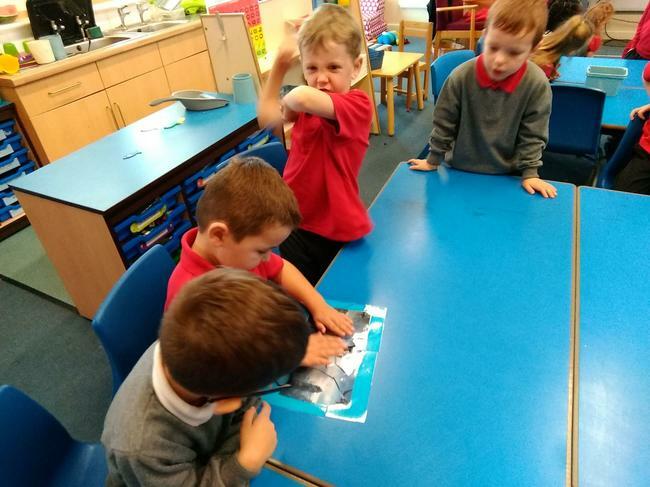 9.10.18 This week the children are starting a new book in literacy. 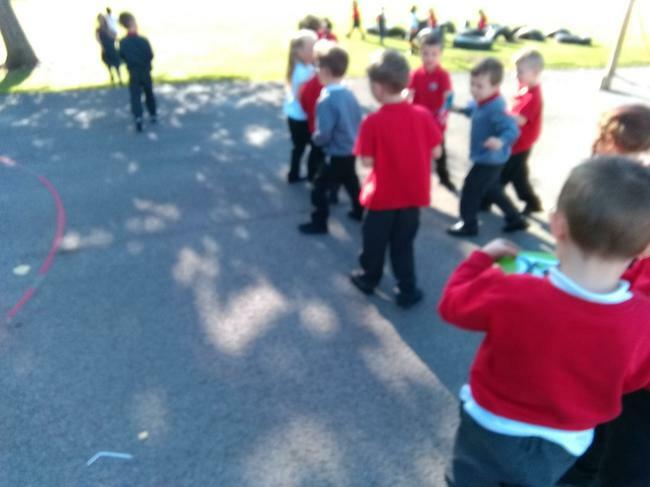 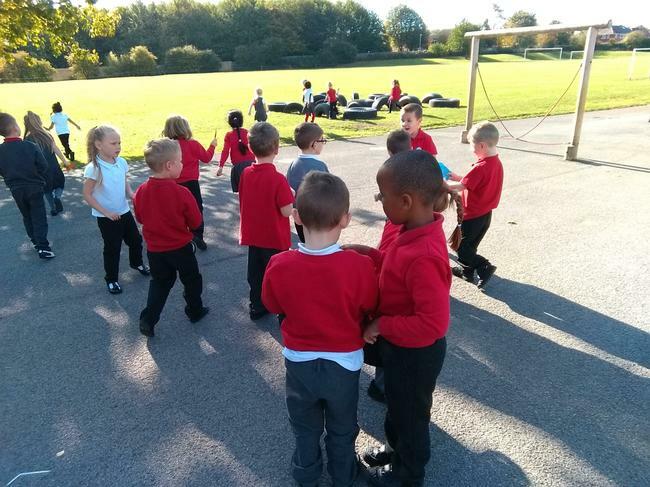 To start the new topic they had to work in teams to find clues on the playground. 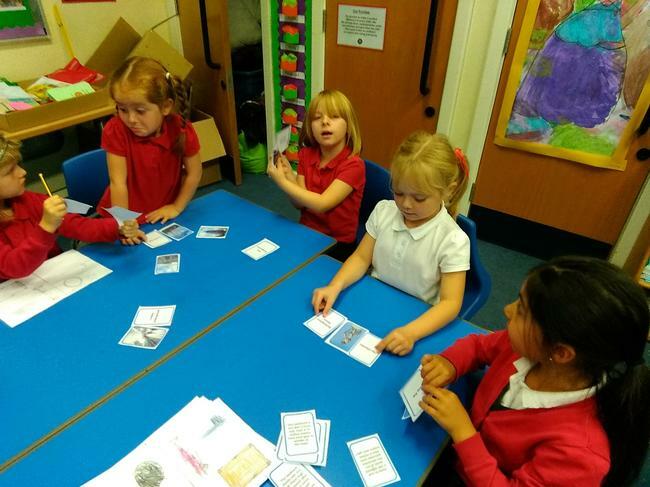 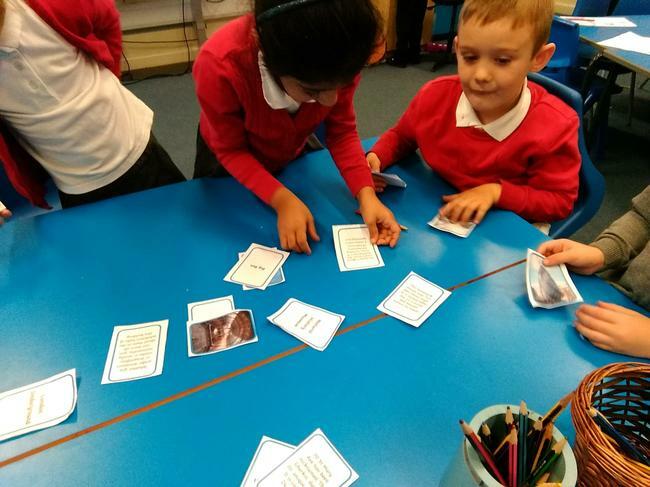 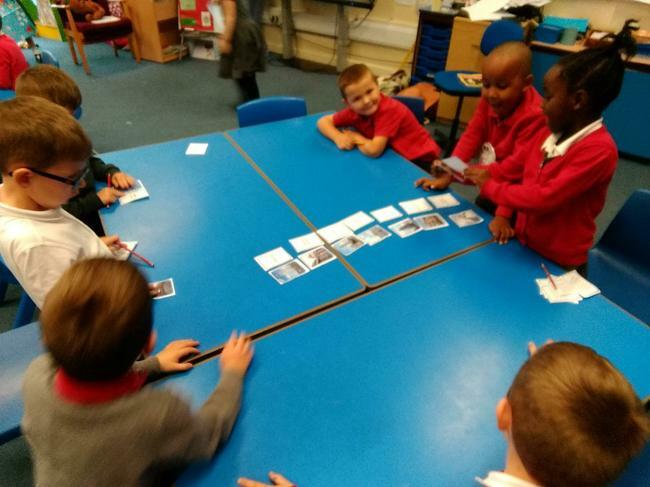 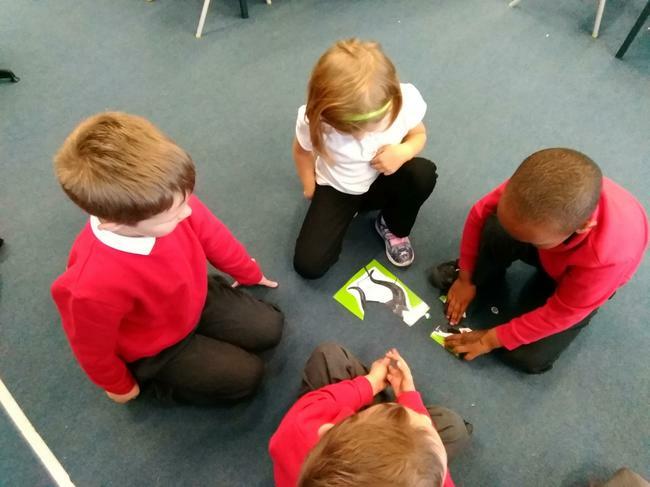 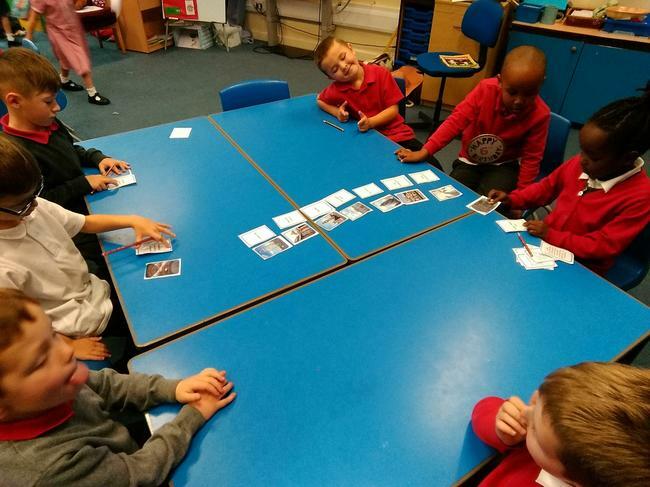 They then found out that the clues were jigsaw pieces and worked together to guess what the new story might be. 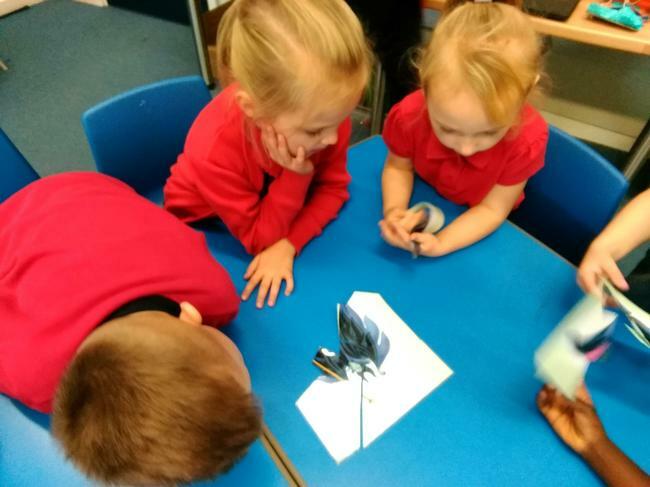 The children were very excited to write character description about Maleficent! 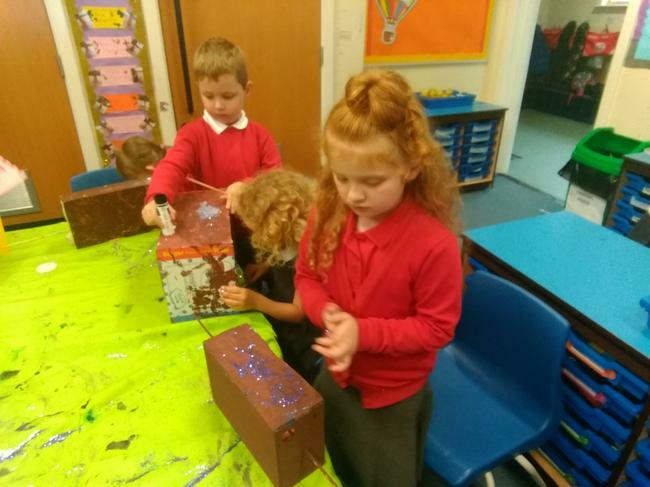 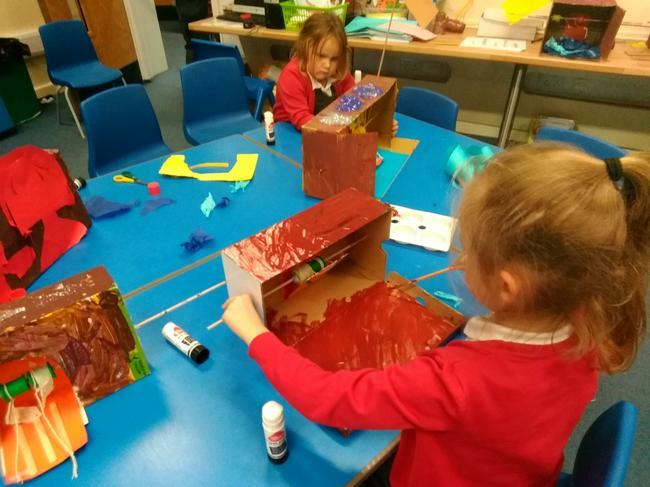 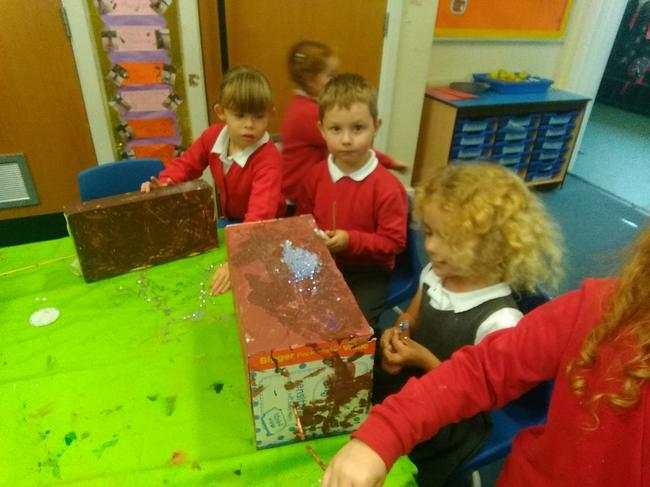 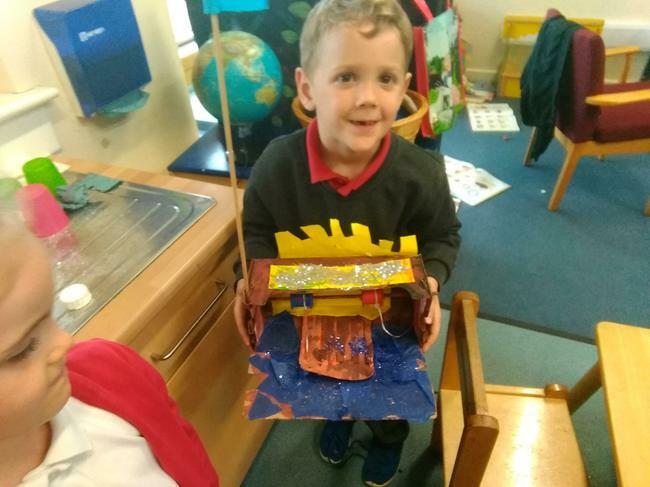 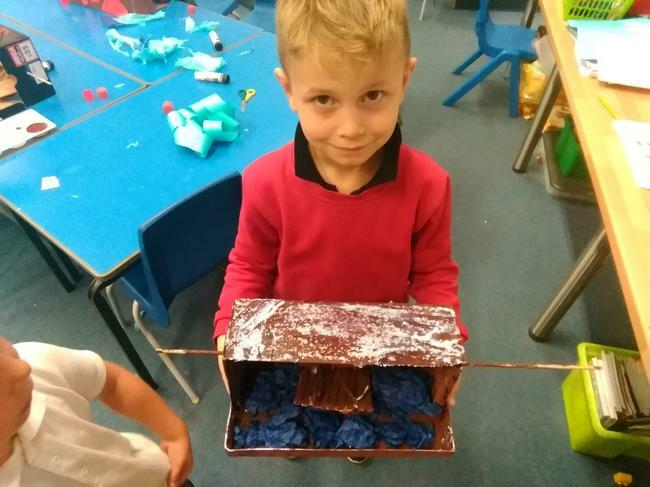 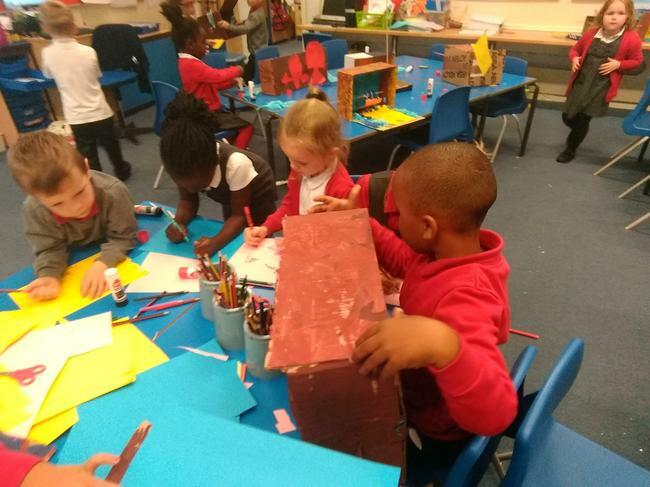 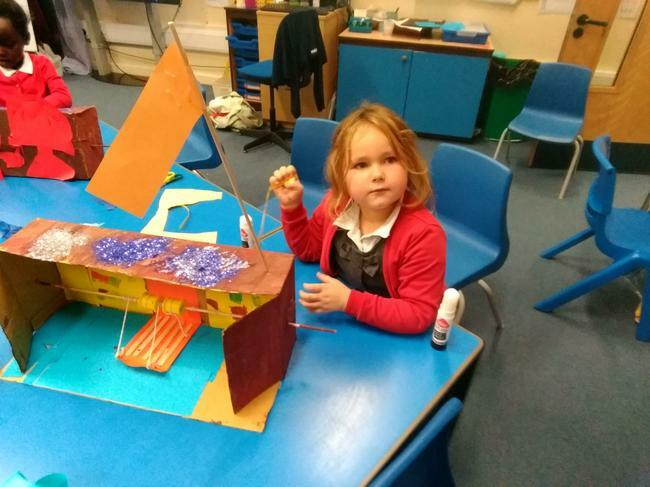 5.10.18 The children have been putting their final touches onto their castles. 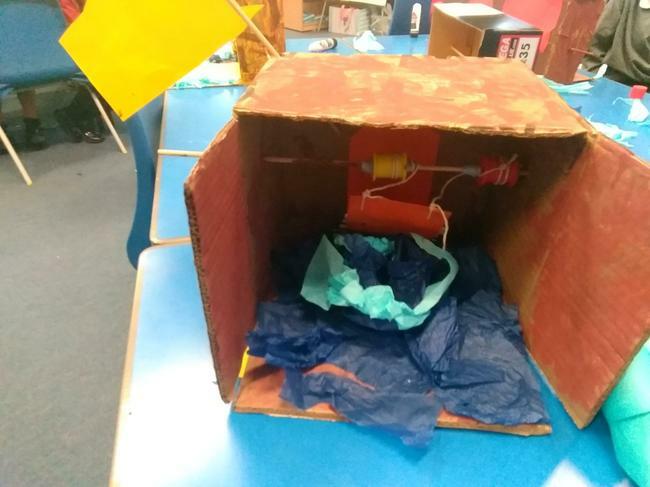 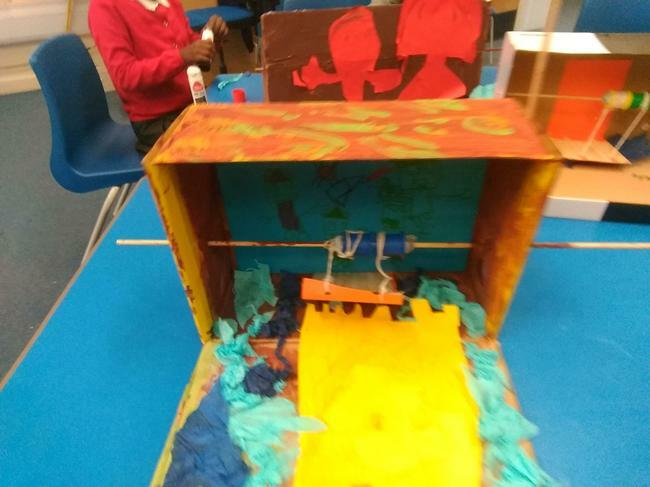 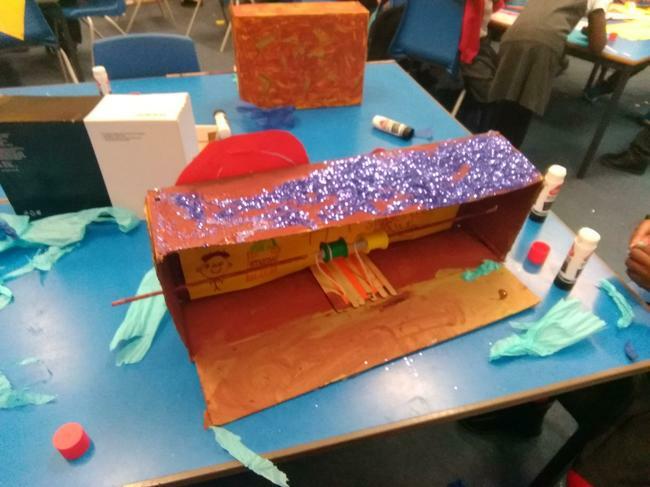 They have had to problem solve whilst creating curtain walls to attach to their models and have created moats. 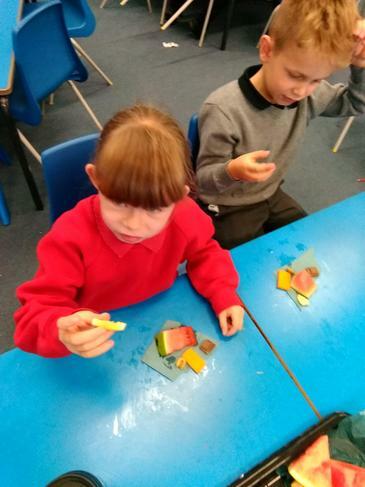 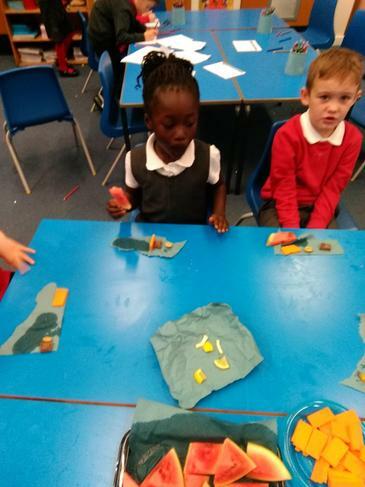 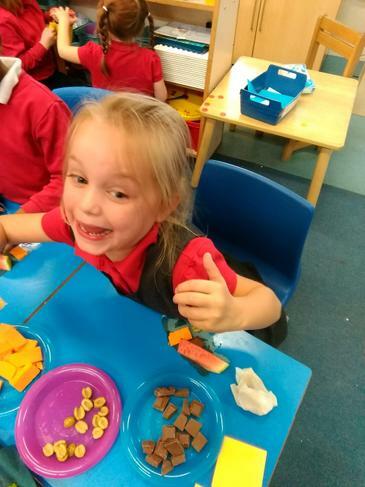 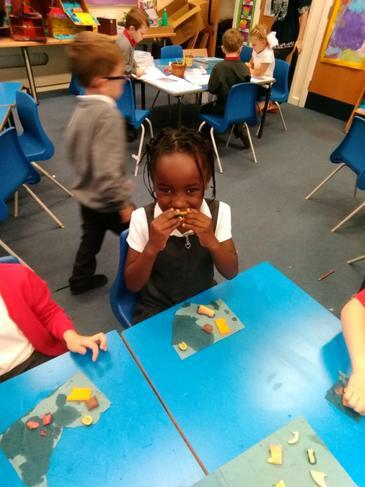 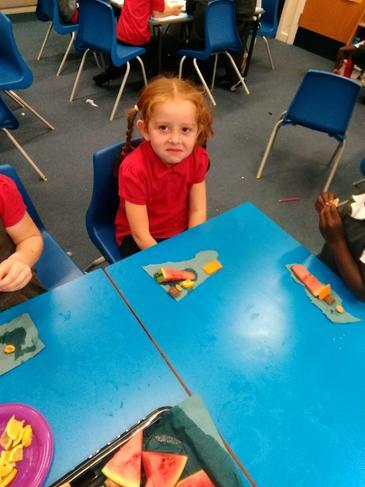 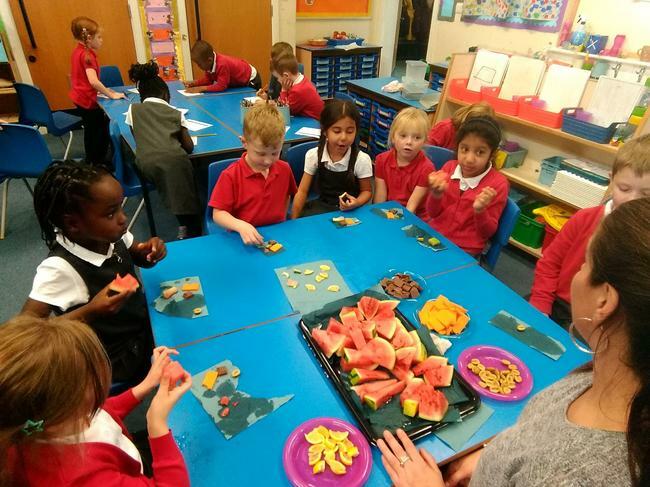 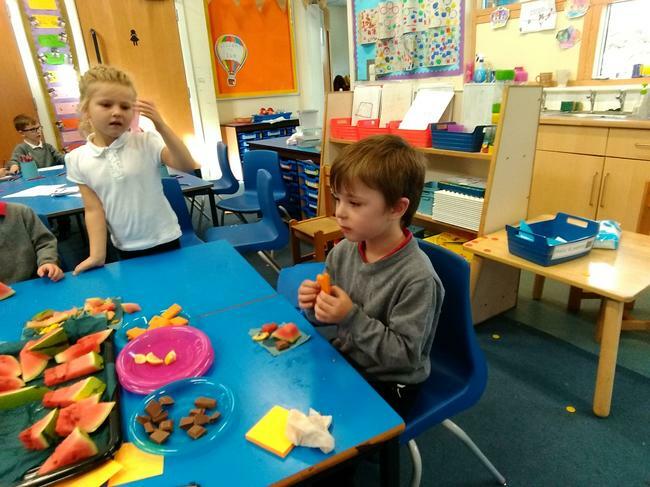 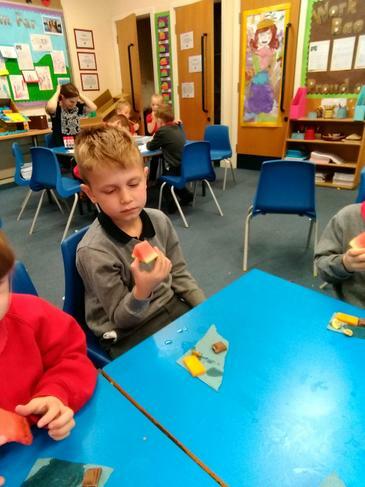 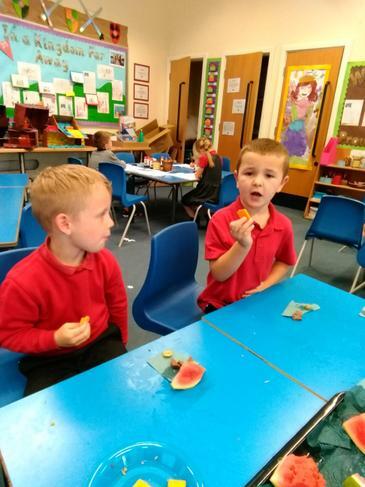 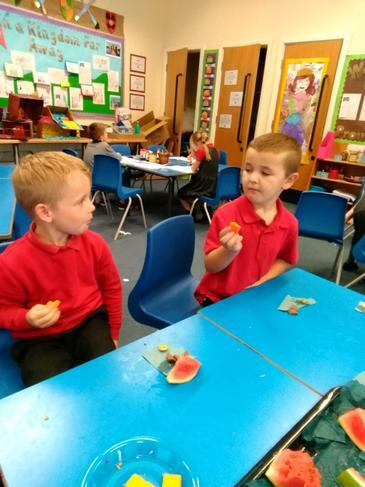 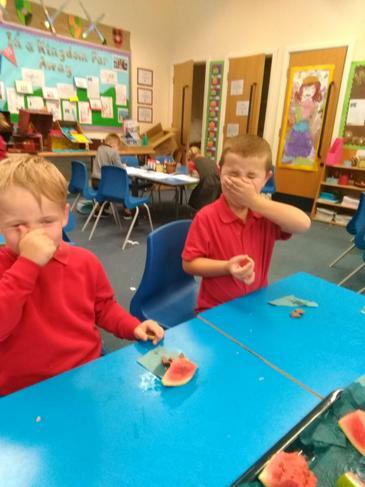 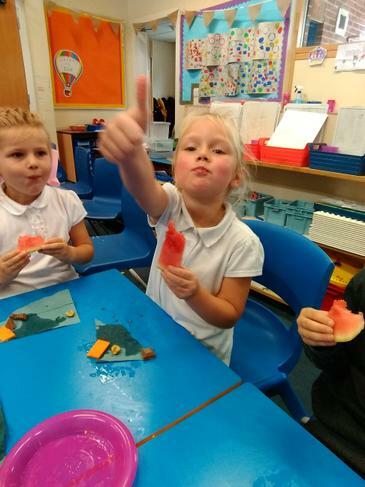 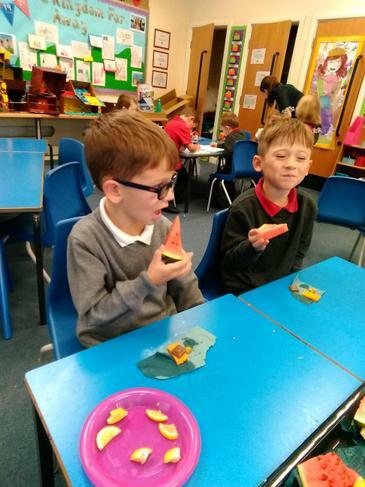 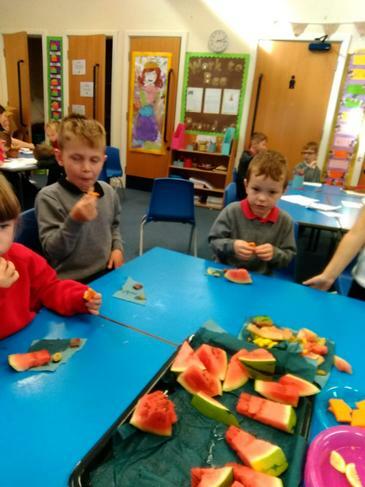 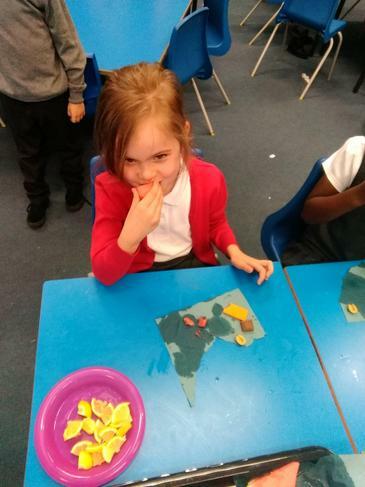 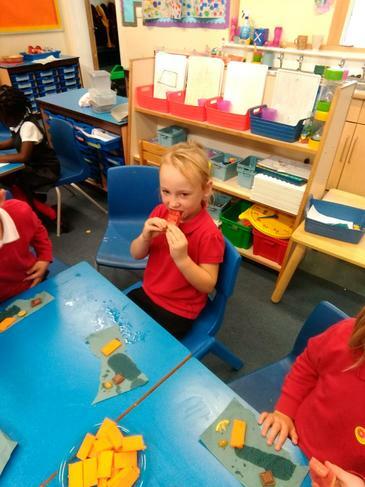 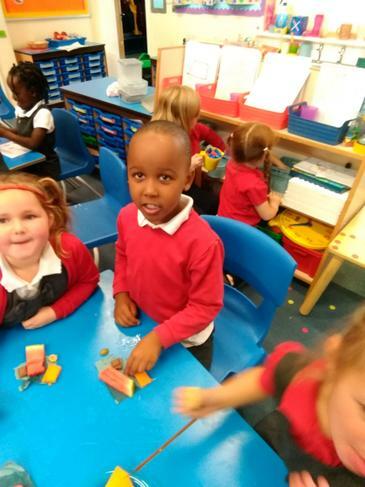 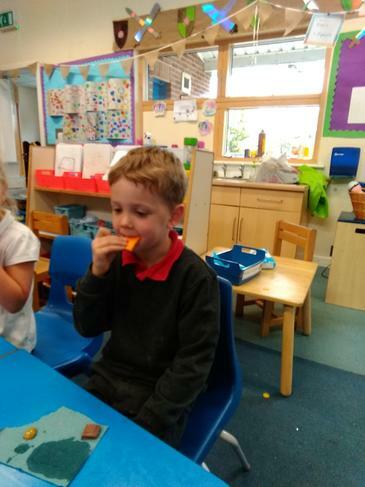 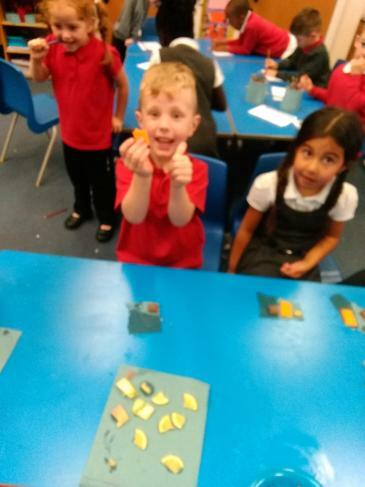 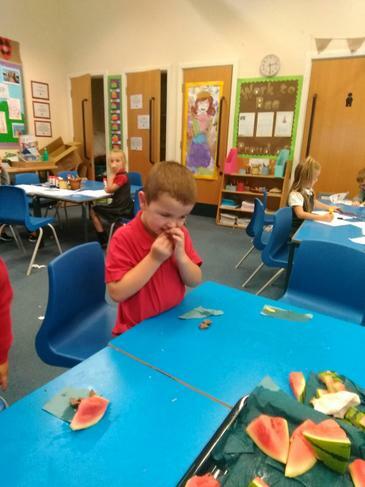 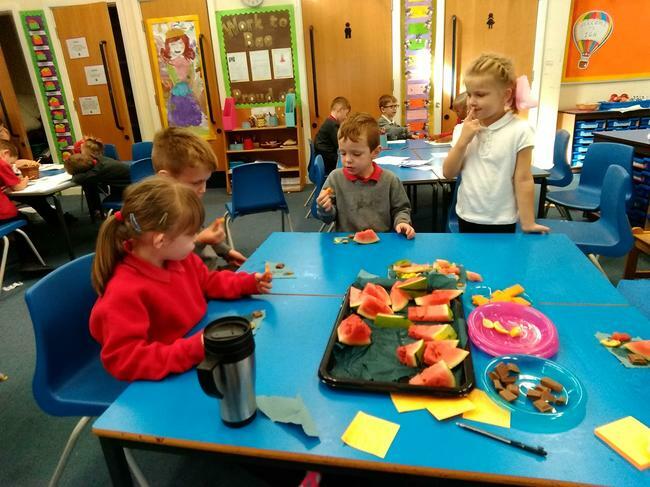 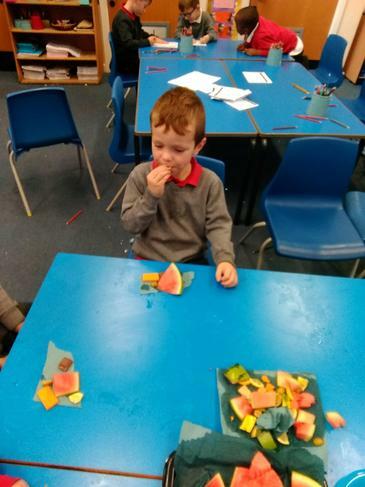 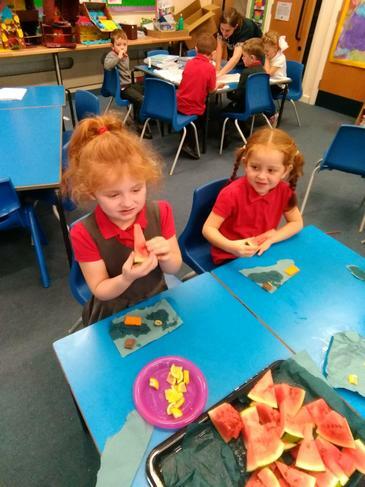 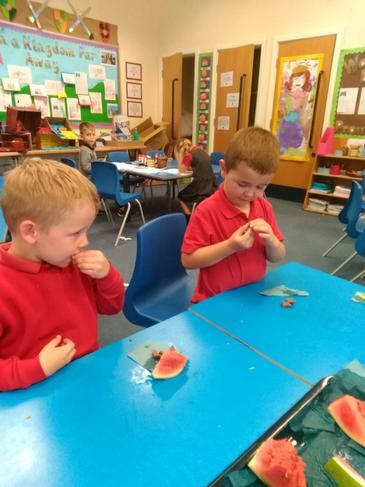 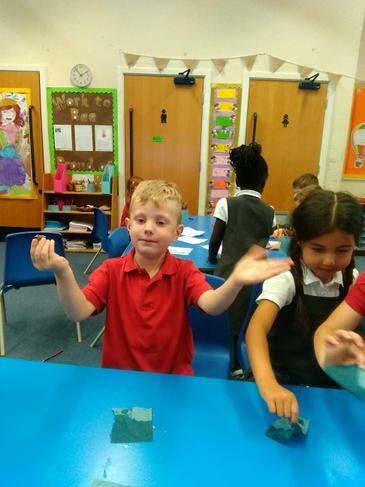 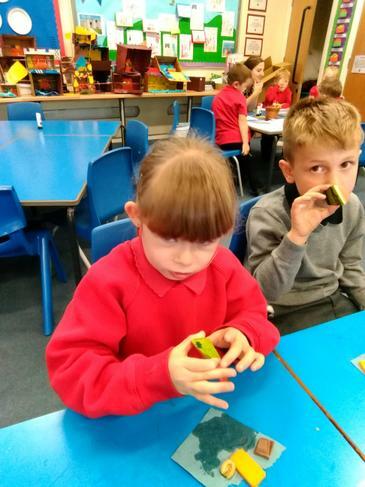 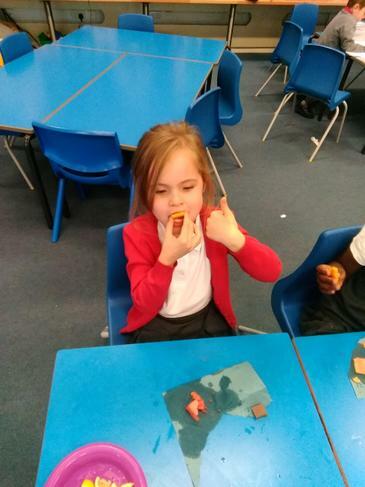 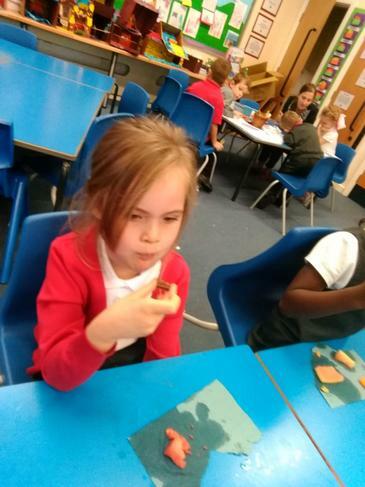 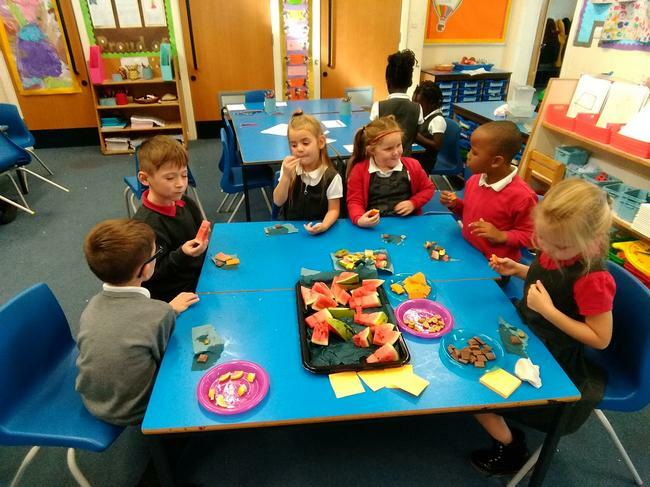 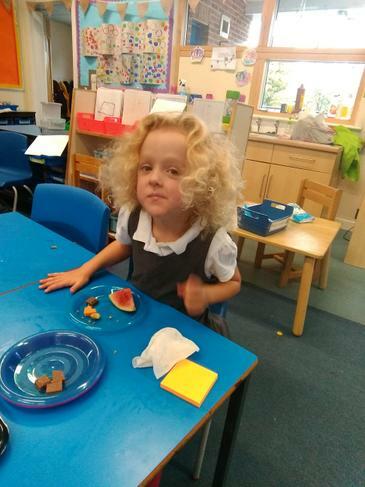 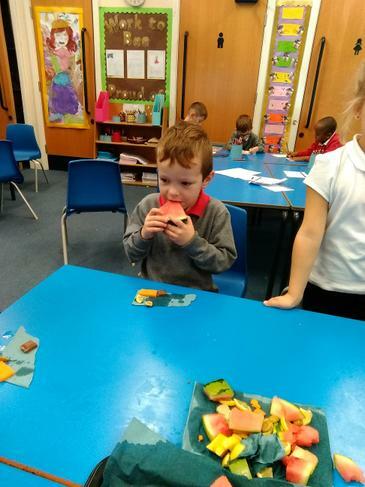 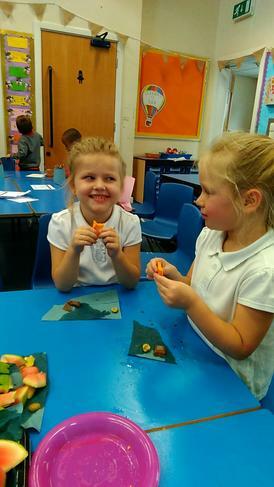 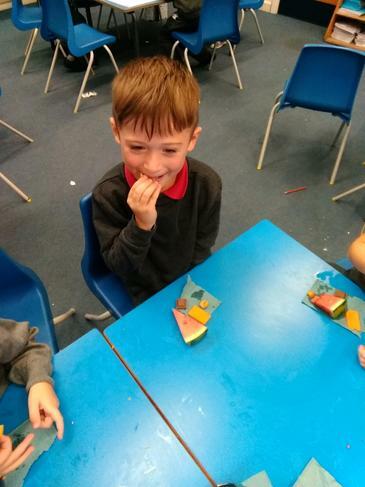 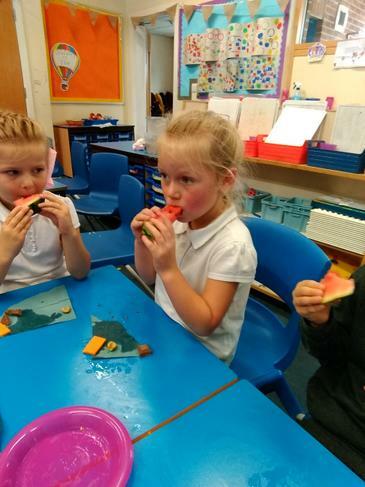 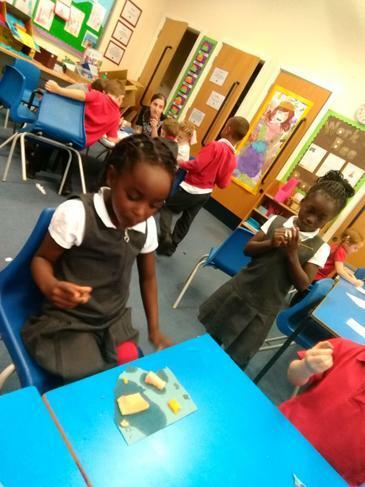 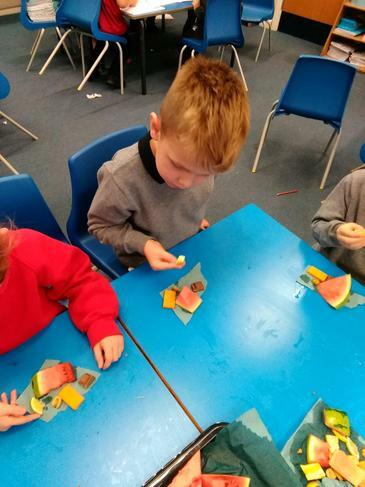 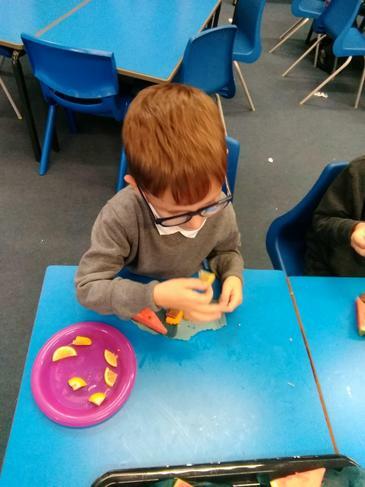 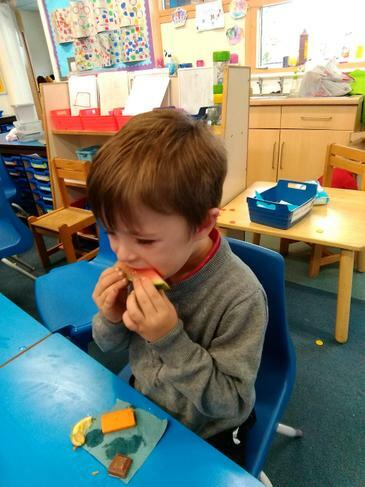 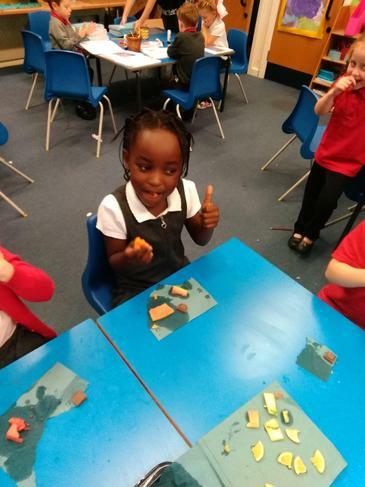 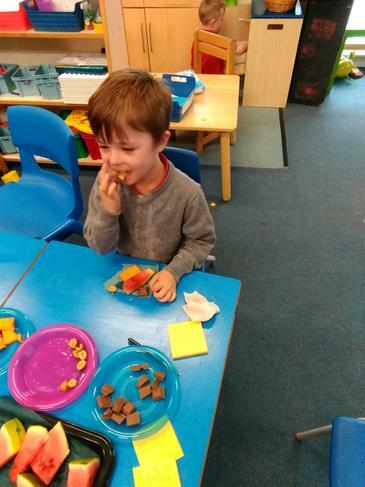 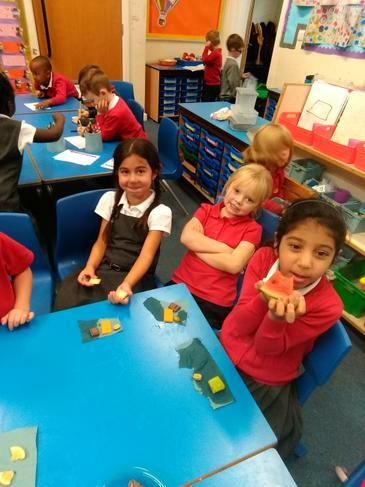 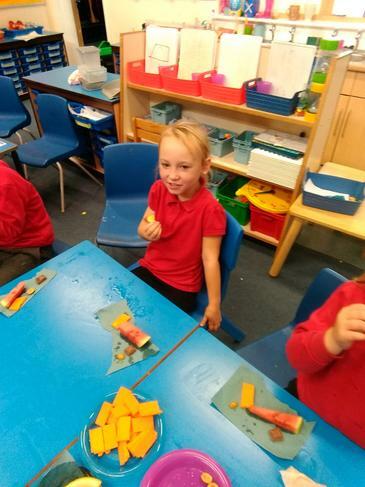 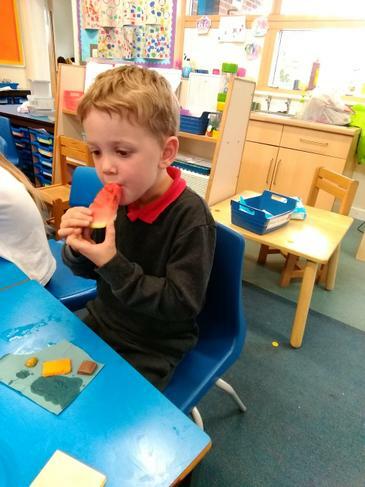 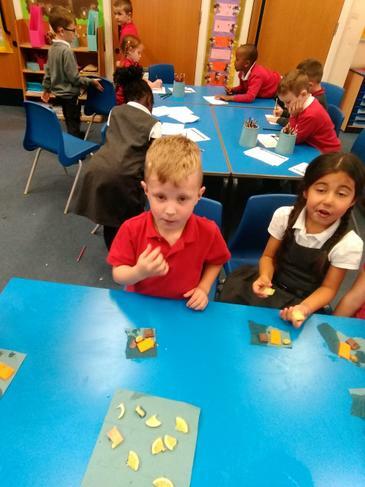 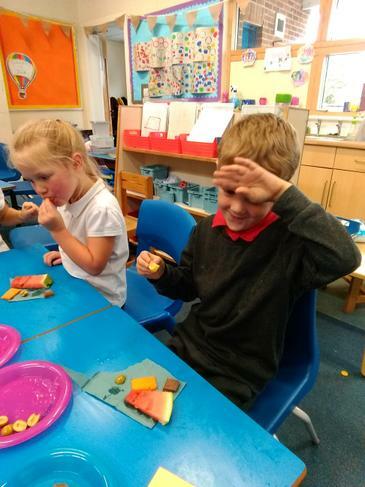 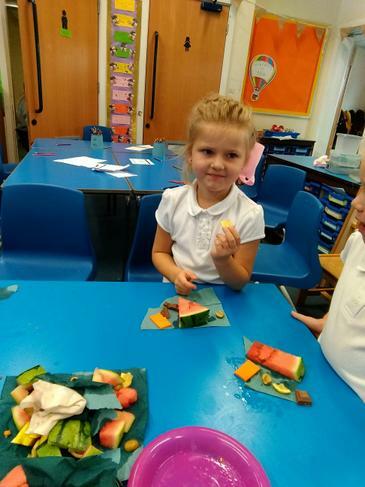 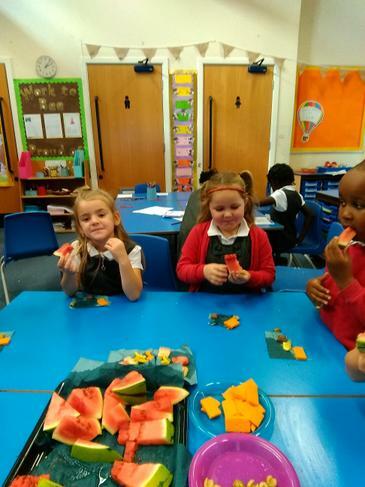 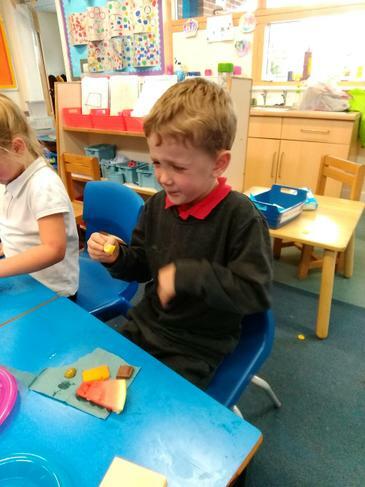 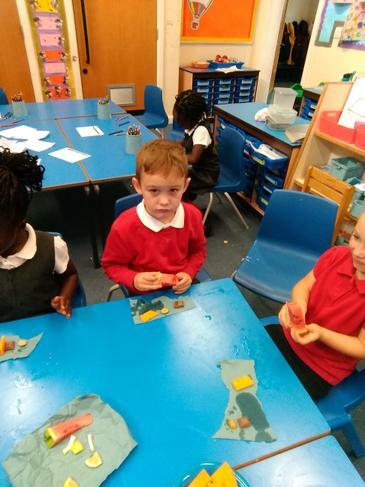 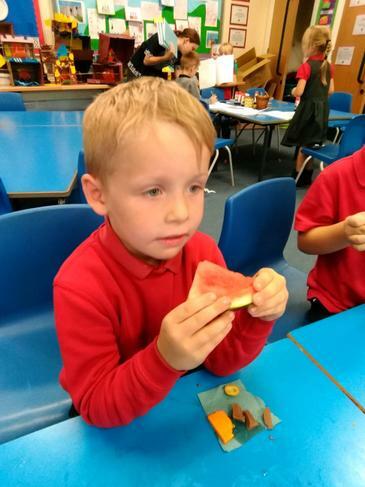 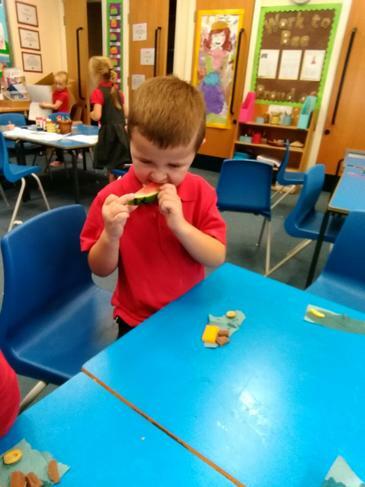 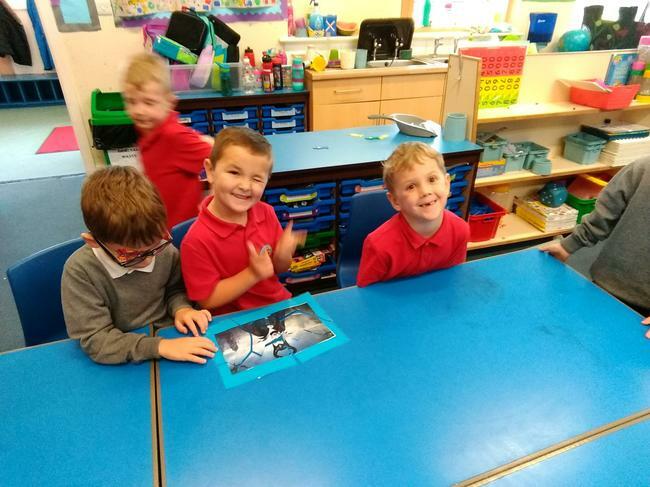 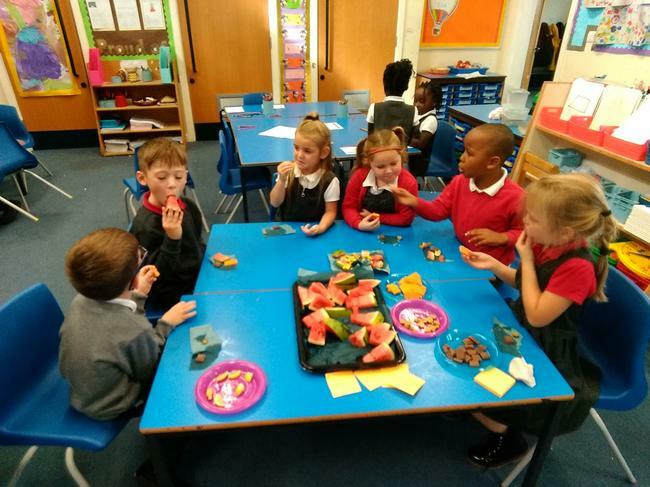 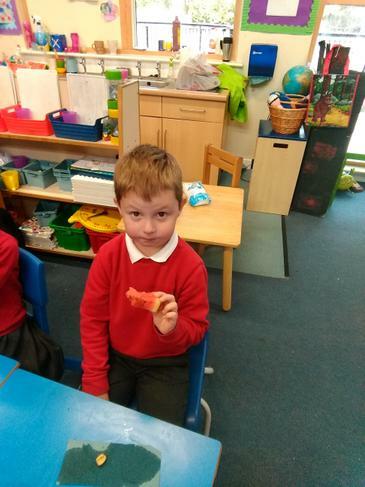 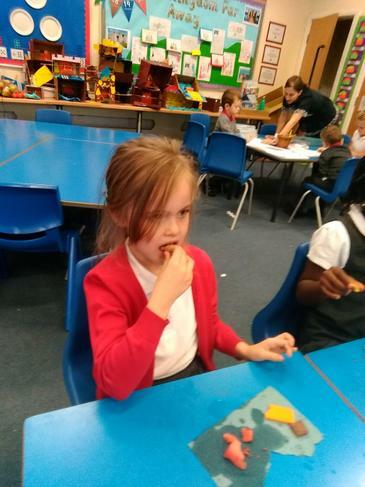 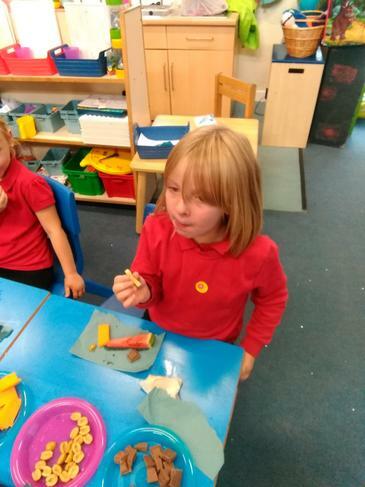 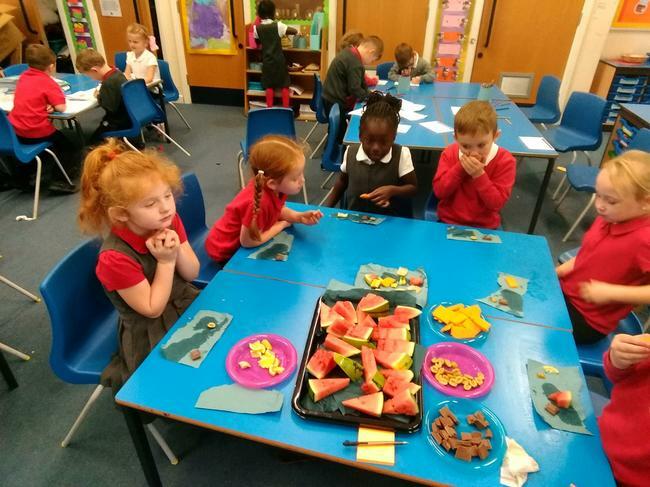 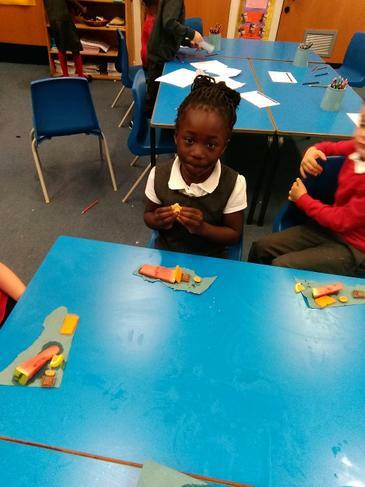 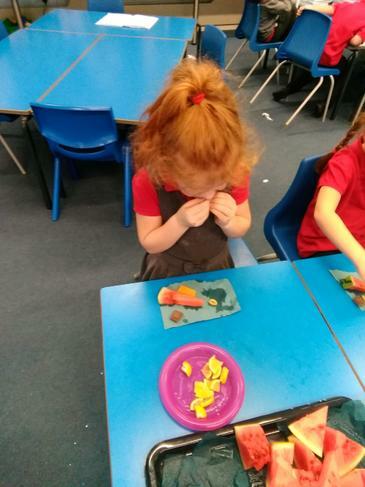 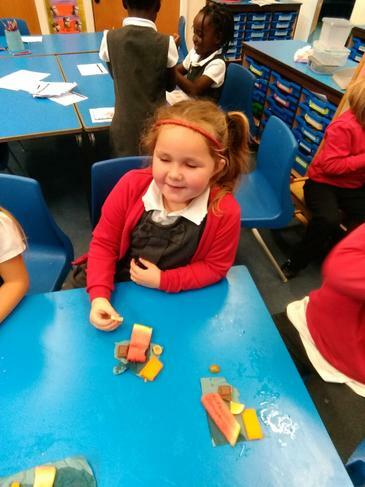 2.10.18 In science this we have been thinking about our senses the children have been tasting different types of foods. 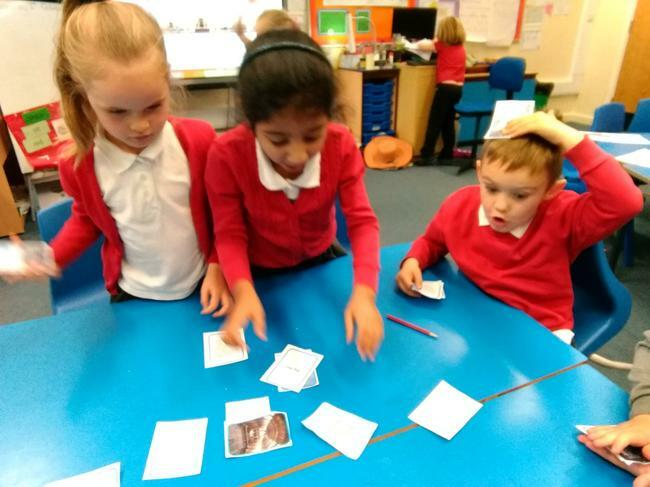 They use fantastic adjectives to describe the different tastes. 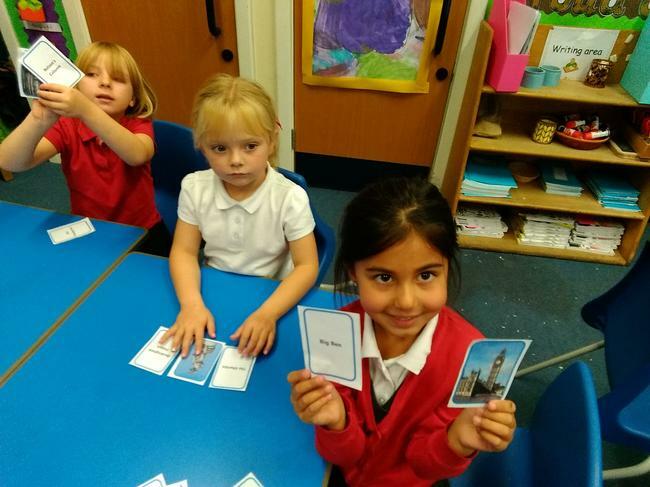 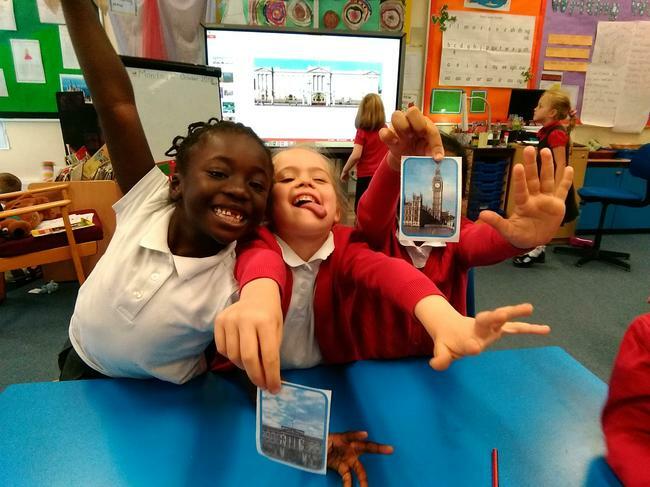 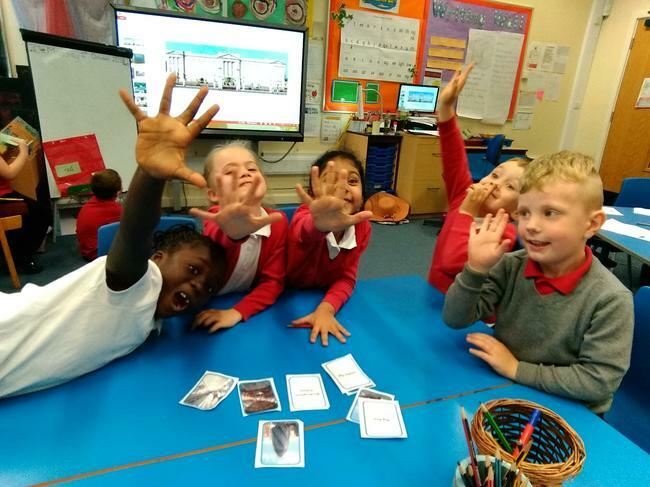 2.10.18 This week the children have been learning lots of facts about London. 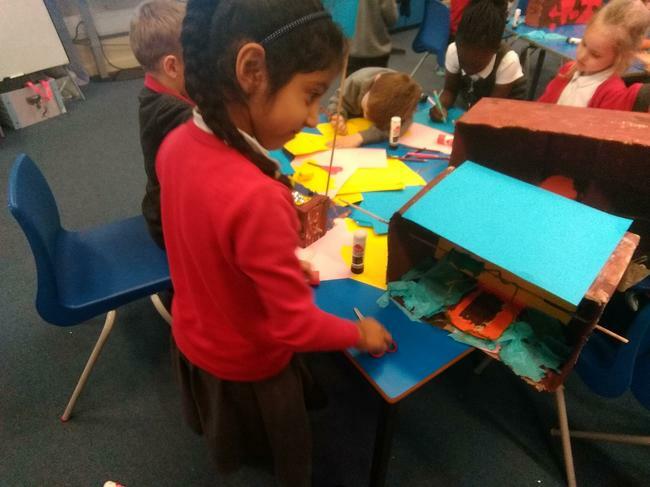 They have looked at maps and found landmarks around the city. 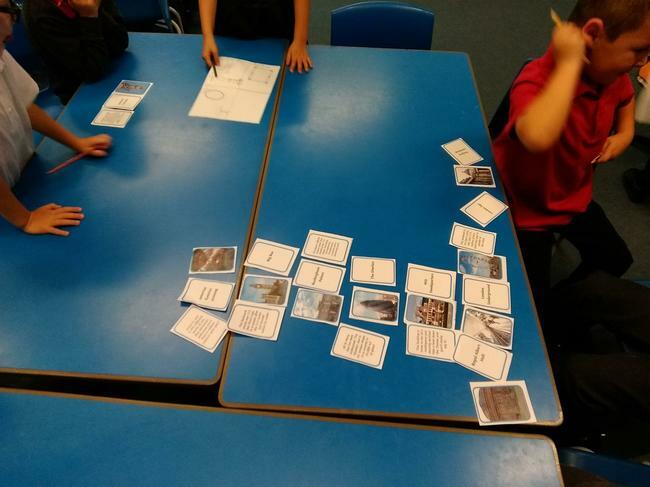 We have matched places with interesting facts about the landmarks. 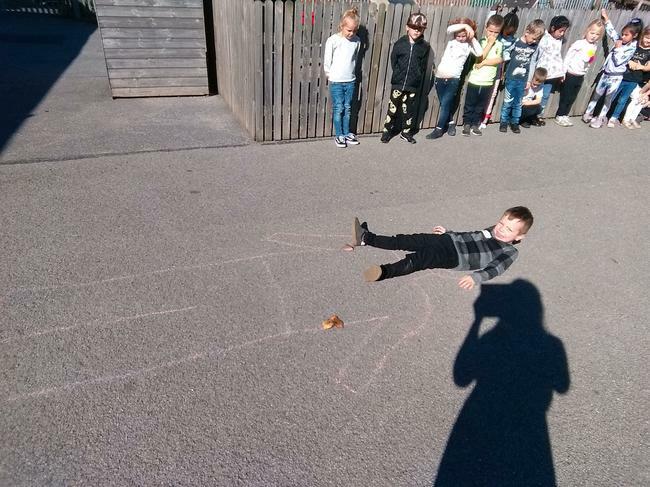 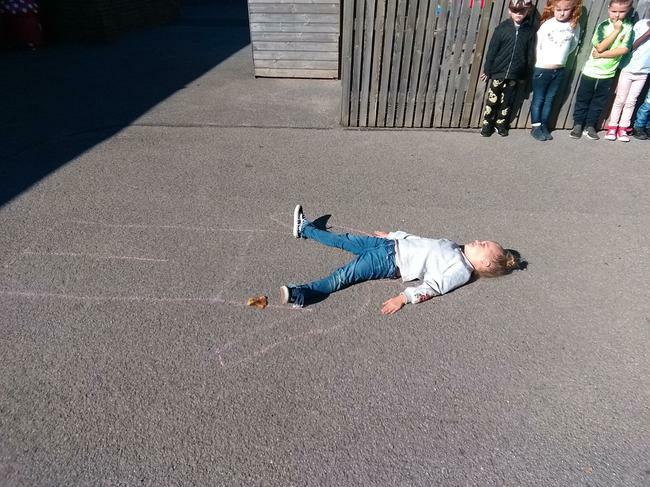 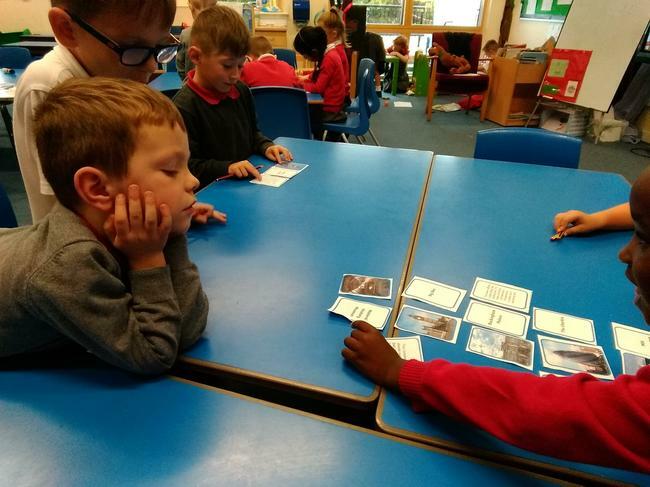 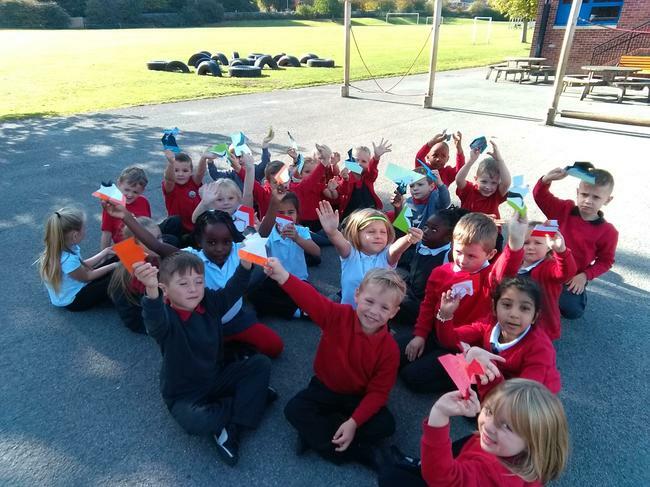 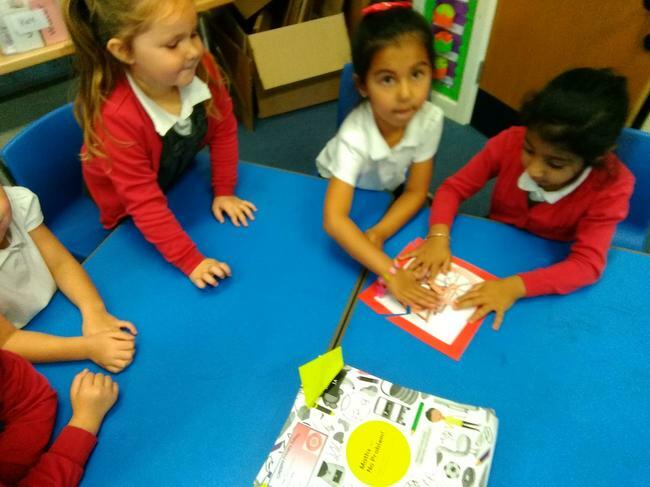 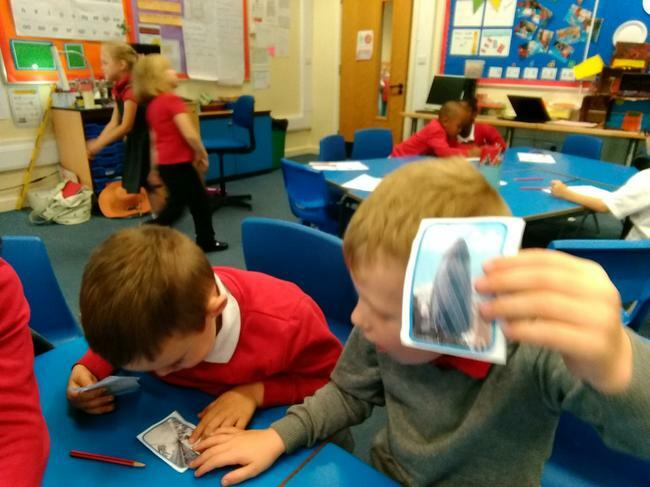 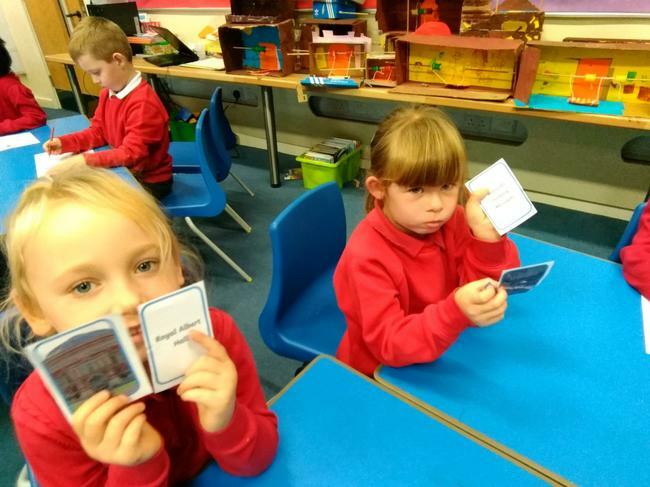 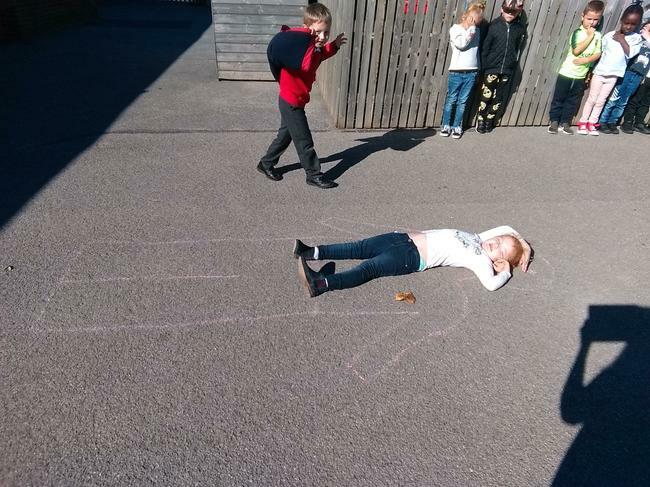 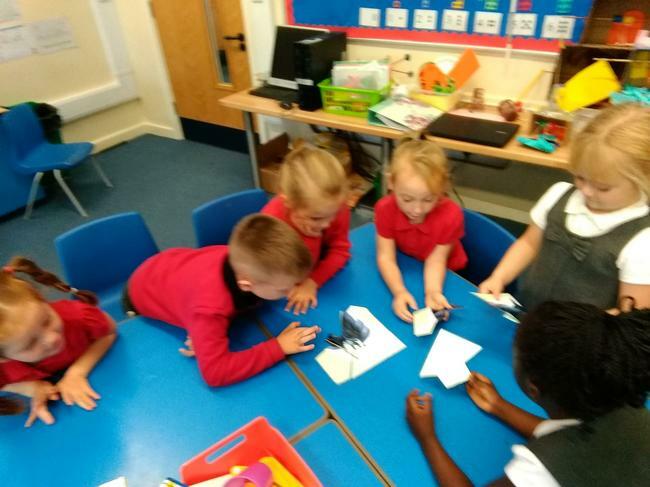 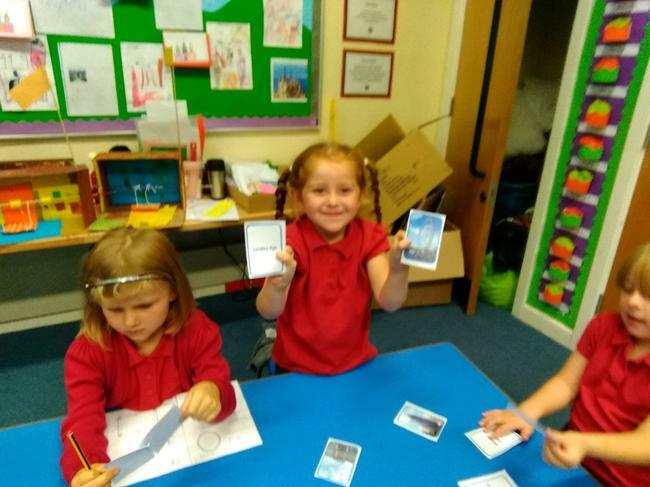 28.09.18 In science this week the children have been thinking about their bodies and what makes them the same and different to each other. 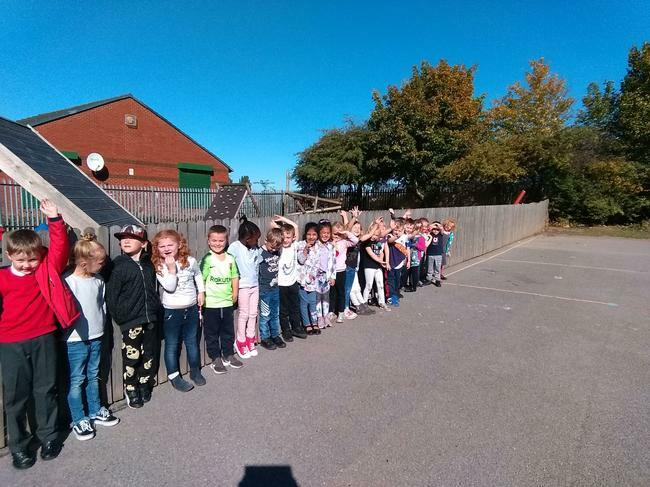 They have compared their heights with their class as well as with the tallest man in the world who is 8ft 3in tall! 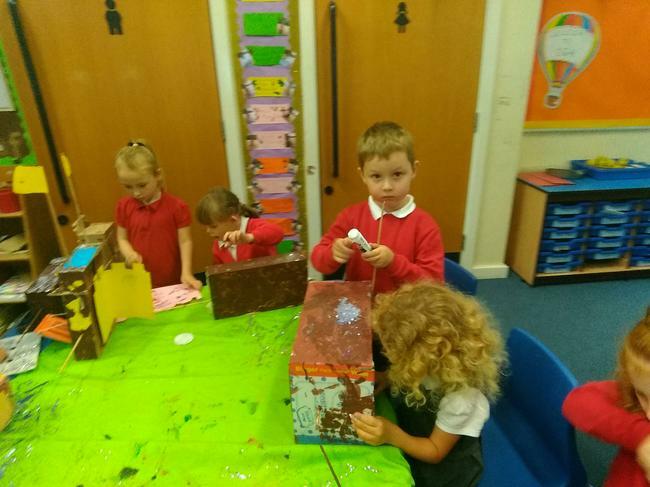 21.9.2018 Well Done to all the children and adults that took part in the castle building afternoon. 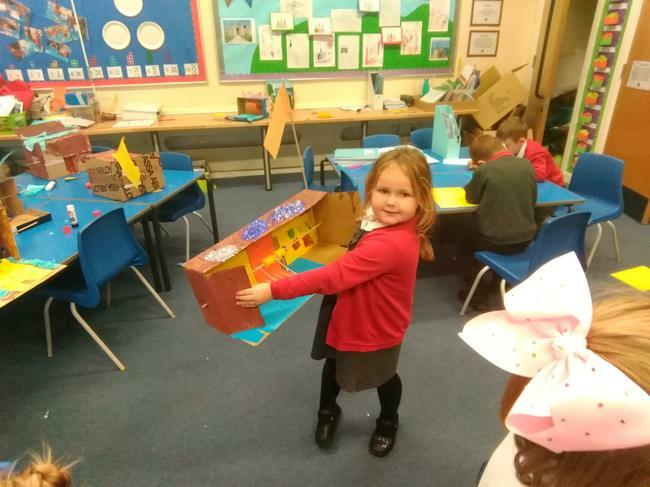 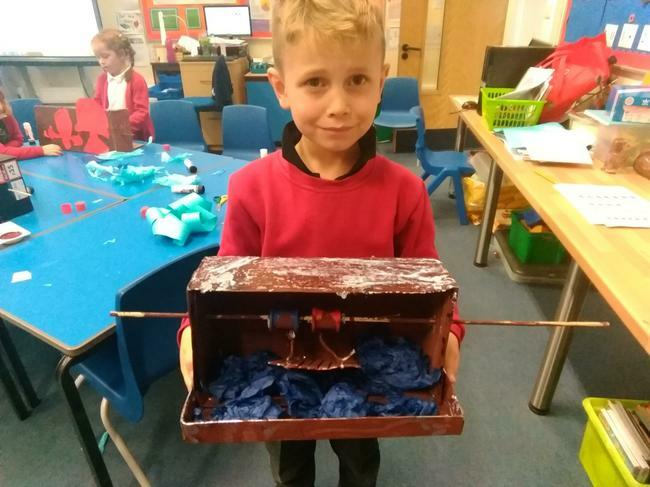 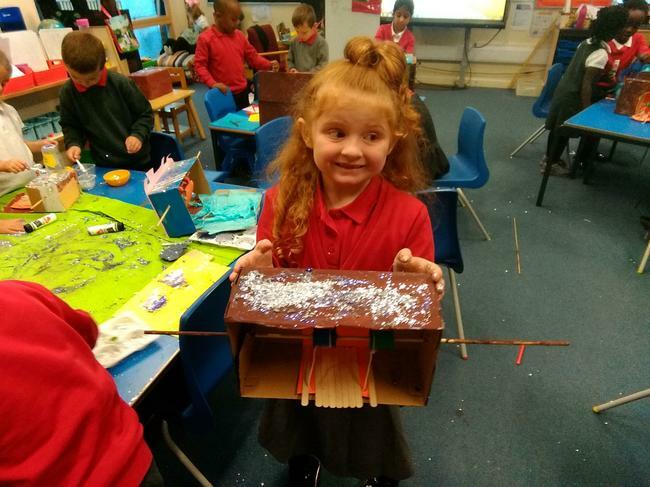 They have worked so hard to create some fantastic models with a working drawbridge. 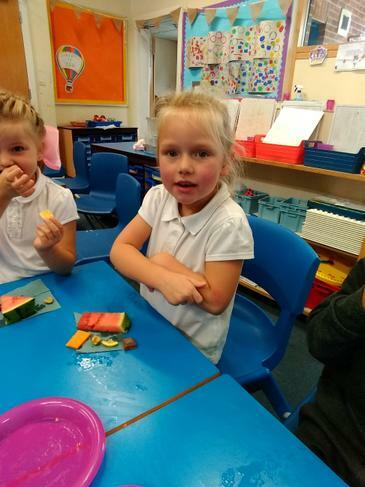 19.9.2018 The children have had fun helping Princess Eliza bake buns for her birthday. 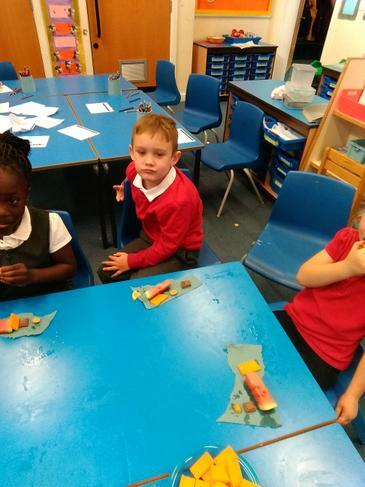 The children then wrote instructions on how to make the buns. 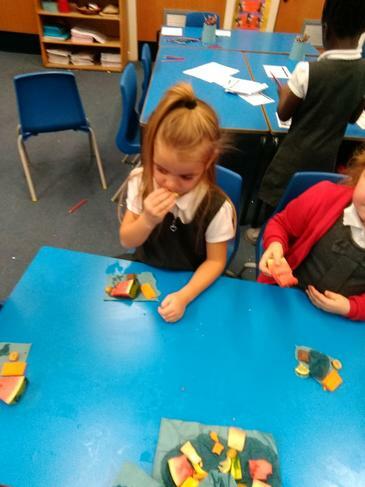 They tasted so yummy! 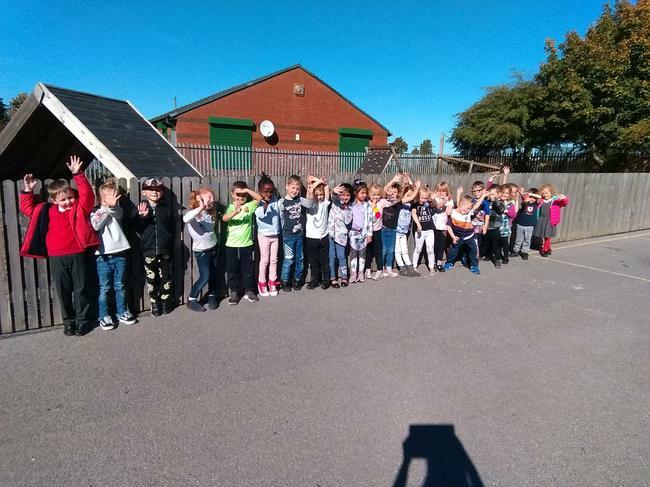 W/B 17.9.2018 Math No Problem! 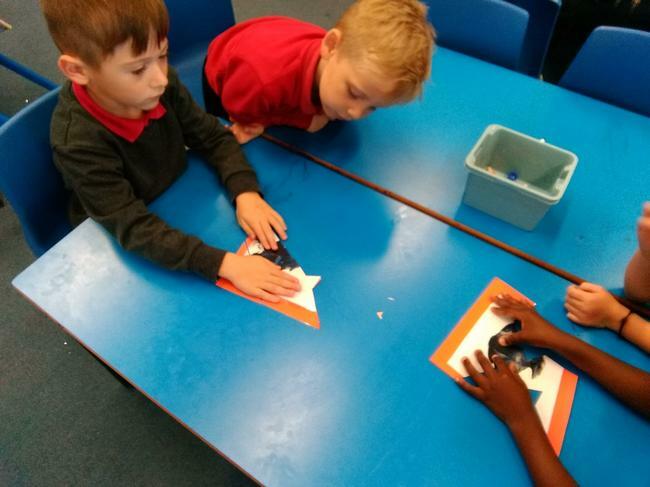 The children have been working really hard in their maths lessons. 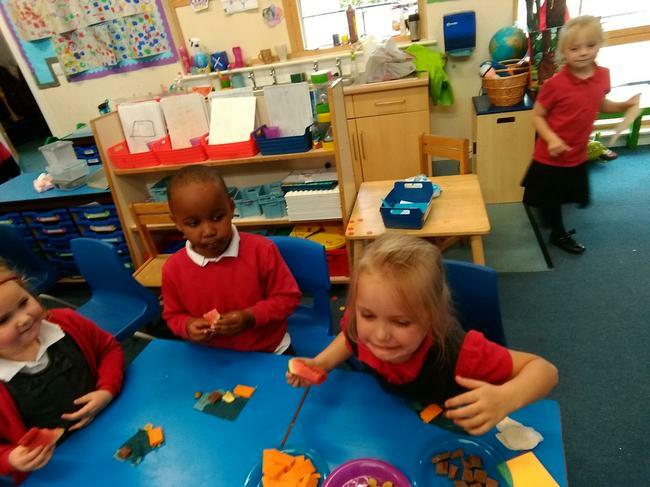 They have been using lots of different equipment and representations to order numbers, count objects and partition numbers. 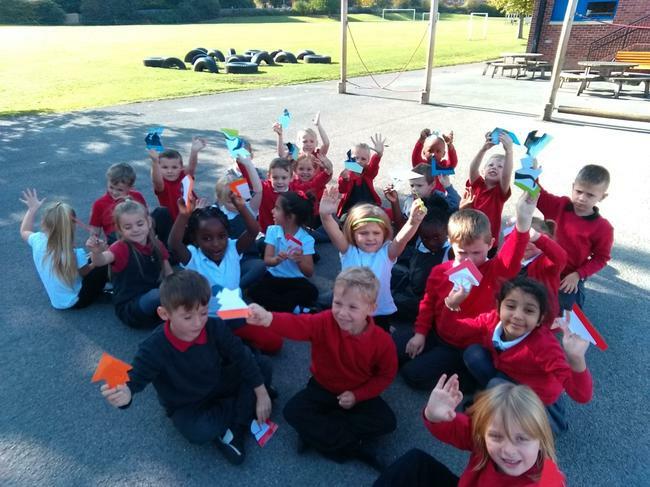 Keep up the fantastic effort 1GH!